I’m not sure how we’ve managed to do the Classic Rock Sunday feature for a year now without doing Cheap Trick but it’s about time to correct that oversight. Cheap Trick’s genesis goes all the way back to the 1960s with guitarist Rick Nielsen playing in various bands around Rockford, IL. He soon teamed up with bassist Tom Petersson in band called Fuse. They released an unsuccessful album in 1970 and soon after recruited another Rockford product, drummer Bun E. Carlos. Then in 1975 they found vocalist Robin Zander and became Cheap Trick. 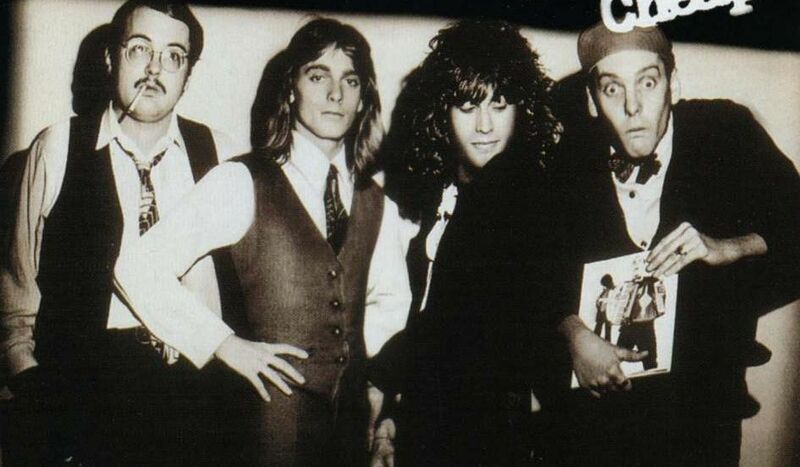 The band was soon signed to Epic Records and released their first album, Cheap Trick in 1977 to lackluster sales. Their second album, In Color was released later that year but despite such future classics as ‘Southern Girls’ and ‘I Want You To Want Me’, it also failed to chart. But a funny thing happened: the record caught on in Japan, of all places. Apparently the Japanese noted a similarity to The Beatles and latched on to the boys, calling them the ‘American Beatles’. In 1978 the band released Heaven Tonight, a true rock and roll classic. The leadoff track, ‘Surrender’, was the band’s first hit in the US but once again it was Japan that really embraced Cheap Trick. So, the band embarked on a tour of Japan. A Beatlemania-like frenzy ensued and someone had the good sense to record two live shows at the famous Budokan in Tokyo. The live album was as smash in Japan but more importantly was just as huge in America, reaching triple platinum status and cementing the band as pop rock radio mainstays for years to come. Mega success is hard to sustain and a combination of Tom Petersson’s departure in 1981 and a loss of direction saw the band stagnating in the mid ’80s. In 1987 Petersson rejoined the band and they finally had their first #1 single, a middle-of-the-road generic power ballad written by outside songwriters. For long time fans it was good to see the boys back in the spotlight but I think we all criniged a little every time the song played on the radio. Still, as bombastic ’80s power ballads go, it’s pretty good. Now too old to appeal to flavor-of-the-week teenage audiences, Cheap Trick still kept touring and recording. In 1999 they were exposed to millions of new fans when they recorded a cover of Big Star’s ‘In The Street’ as the theme song for TV’s That ’70s Show. The band is still touring all over the place and still rocks hard every show. You might have noticed that’s not Bun E. Carlos on drums. He’s still with the band but not currently touring. That’s actually Rick Nielsen’s son Daxx on drums!